President Trump says he is still looking at a June 12 summit with North Korean leader despite having called it off earlier this week. 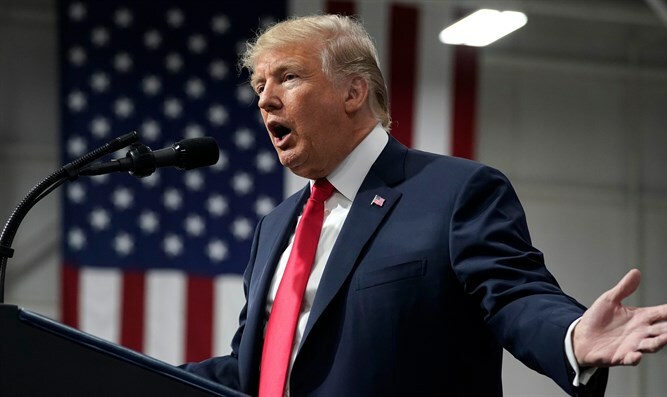 U.S. President Donald Trump said on Saturday night he was still looking at a June 12 summit with North Korean leader Kim Jong Un in Singapore. Trump earlier this week called off the June summit with Kim, citing Pyongyang’s “open hostility” towards the U.S. in recent statements. On Friday, however, Trump said the summit with the North Korean leader could still take place on the originally planned date, after North Korea expressed a "willingness to sit down face-to-face with the U.S. and resolve issues." Meanwhile on Saturday, South Korean President Moon Jae In met with Kim and later said he hopes that Trump keeps his planned meeting with Kim in June. Moon further said that Kim showed firm determination for complete denuclearization and to end the war between South Korea and North Korea. “He also expressed his intention to put an end to the history of war and confrontation through the success of the North-U.S. summit and to cooperate for peace and prosperity,” Moon told reporters, according to Straits Times.